NASHVILLE (BP) — Racial reconciliation in the church calls for a strong view of the image of God in all people, a deep commitment to understanding others and an intentionality in achieving diversity, speakers said on the second day of a Southern Baptist-sponsored leadership summit. Black, white, Asian and Iranian pastors and leaders addressed racial disunity Friday (March 27) during the event conducted by the Ethics & Religious Liberty Commission (ERLC) in Nashville. After several presenters March 26 focused on the centrality of the Gospel of Jesus in solving racial divisions, speakers on the final day provided further application of the Gospel to the issue. Christians must see the image of God in all people without minimizing their differences, African-American speakers said. 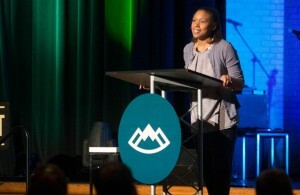 Jesus “gave me Himself,” author and ERLC staff member Trillia Newbell told the audience. “But what He didn’t do was strip me of my brown skin. He has created me in His image. Recalling a Christian who told him, “I don’t even see you as black,” Lee said the comment was unhelpful, though he appreciated what his friend was trying to say. The experiences of blacks in the United States are different than those of whites, he told attendees. Some Christians carry burdens other Christians do not, he said. “How can I possibly bear my brother’s burdens if I don’t know what his burdens are?” he asked, adding, “Understanding one another helps us to love one another. Washington, D.C., pastor Thabiti Anyabwile said believing the Bible’s teaching on God’s image in all human beings affects racial reconciliation. Anyabwile, the pastor of newly planted Anacostia River Church, addressed the image of God in His original creation, in its “distorted reflection” when sin entered the world, in the re-creation of sinners in God’s image through the work of Christ and in the final image-bearing in the glorification Christians will experience upon Jesus’ return. Racial reconciliation “must begin with our learning the habit of seeing each other as together made in the image of God and therefore possessing inestimable, unfathomable dignity and worth and preciousness,” he said. The people who should be best able to speak the truth about racial disunity are “the people who believe this book and believe this Gospel,” he said. “If racism does not exist, it will be the first sin produced by the fall that was completely cured apart from the Gospel,” Anybwile said. “We’re only practicing self-deception if we think racism has vanished or we think it has just vanished from our hearts. No, the potential for it lurks” in every person’s heart. Reconciliation among Christians of different skin colors and ethnicities requires the renewal of their minds, he said. The race issue is “one of the most underdeveloped areas of Christian discipleship in the United States,” Anyabwile said, pointing to a lack of Sunday School curriculum, Bible studies and accountability questions on the subject. Fred Luter, the Southern Baptist Convention’s first African-American president, asked attendees if racism among Christians is the reason worship in heaven is not reflected in the American church. He preached from Rev. 5, which describes worship of the Savior who has redeemed people from every tribe, language, people and nation. “What we are praying for right now in our churches will one day be a reality … when all of God’s sons, when all of God’s daughters, when all of God’s children will be gathered at the throne, from every nation, from every tribe, from every tongue, from every race, from every nationality … red, yellow, black and white, we’re all precious in His sight, and the reason that we shall be able to do that is because of God’s grace in our life,” Luter said. “That is the way it was intended when God created the church, and that is definitely the way it is going to be when we all get to heaven,” he told the audience. “The church should be Exhibit A” for “racial reconciliation in the kingdom of God,” said Luter, pastor of Franklin Avenue Baptist Church in New Orleans. Speakers called for purposefulness and suggested practical actions to gain racial reconciliation and diversity. Pastors are pivotal in achieving racial reconciliation in churches, ERLC President Russell Moore said. They need to pray, preach and equip church members “to start being on mission together,” he said. “[W]hat we need to have are pastors who are preaching and teaching the whole counsel of God and what it means to be reconciled to God and to be reconciled to one another,” Moore told the audience during a question-and-answer session. Jim Richards, executive director of the Southern Baptist Convention of Texas, said Christians must repent of racism, pray for Gospel oneness and act intentionally. 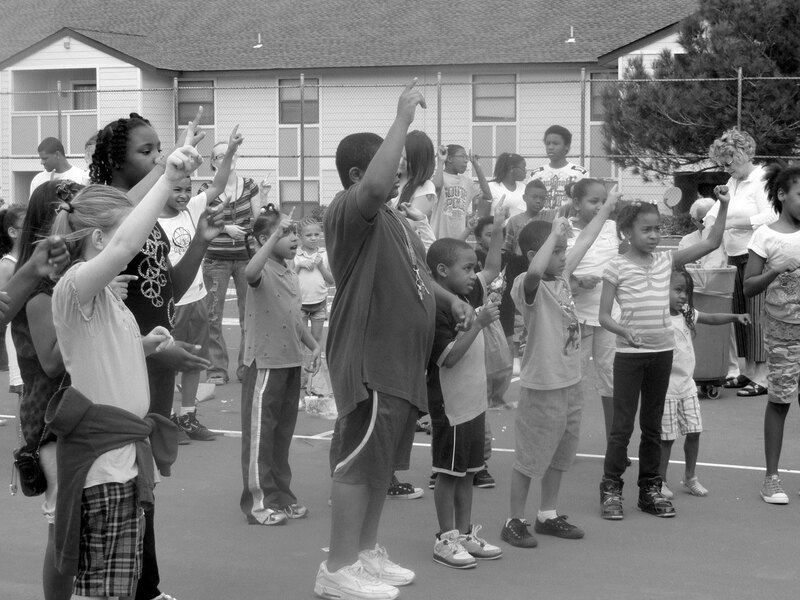 The SBTC is conducting its “Look Like Heaven” emphasis to foster racial unity. “There is no silver bullet” to racial reconciliation, just a process, he told attendees. “[I]f we are not seeking to help our churches and help our convention and help our organizations and neighborhoods to look like heaven, then we are failing a biblical mandate,” Richards said. “It is the Gospel that brings about racial reconciliation. “Don’t treat people who are different too different. “Try not to flock with people who look like you all the time. “Intentionally look to understand. Go deep relationally. Ask questions. “Persevere through difficulties and growing pains. … We’ve got to give one another room to grow and understand. “You should ask yourself if you have assumptions about other races” and socio-economic groups. Other speakers March 27 were Kevin Smith, assistant professor of preaching at Southern Baptist Theological Seminary and teaching pastor at Highview Baptist Church in Louisville, and Afshin Ziafat, lead pastor of Providence Church in Frisco, Texas. Panels on the second day discussed racial reconciliation in regard to the SBC and pop culture. Six breakout sessions also were held. Norton Hall, a band from Southern Seminary, and Jimmy McNeal, a worship leader at Austin Stone Community Church in Austin, Texas, led music during the summit. The summit, held in LifeWay’s Van Ness Auditorium, drew 550 registrants. The ERLC initially planned for its 2015 leadership summit to be on pro-life ethics but announced in December it was changing the theme to racial reconciliation in the wake of grand jury decisions in the police killings of black men that provoked widespread protests and a nationwide discussion. The shift in plans followed refusals by grand juries in St. Louis County and New York City to indict police in the high-profile deaths of African-American men.